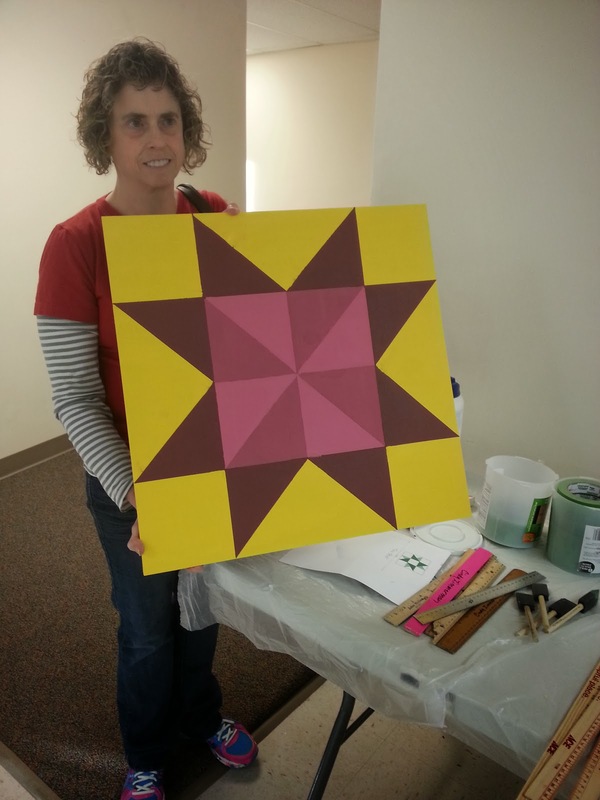 Yesterday we had another wonderful barn quilt block class. Thank you to my mom and Bobbi for your help! I failed yesterday when I forgot my camera. It threw me off all day. 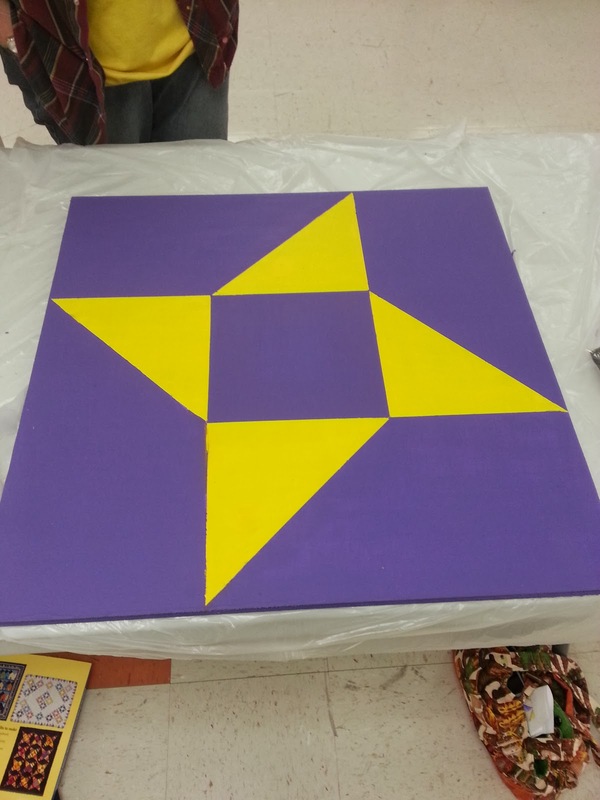 We had three more participants, but I forgot to get pictures of the finished blocks. I will update this post as soon as they have their blocks hanging up! Here are the finished products I have pictures of. Mick did an awesome job! I love how Bobbi's block turned out! Becky made her block for her kitchen! 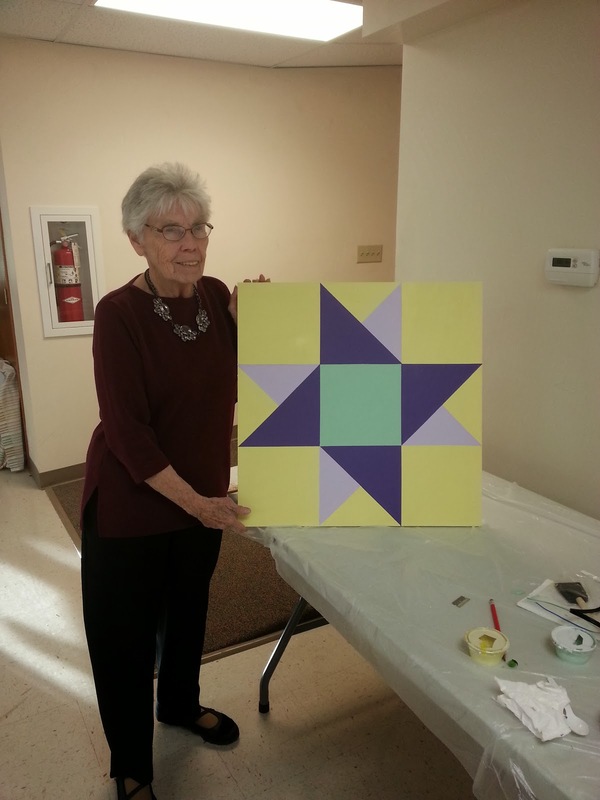 Verna and Gladys decided to make matching blocks. This is Verna's. 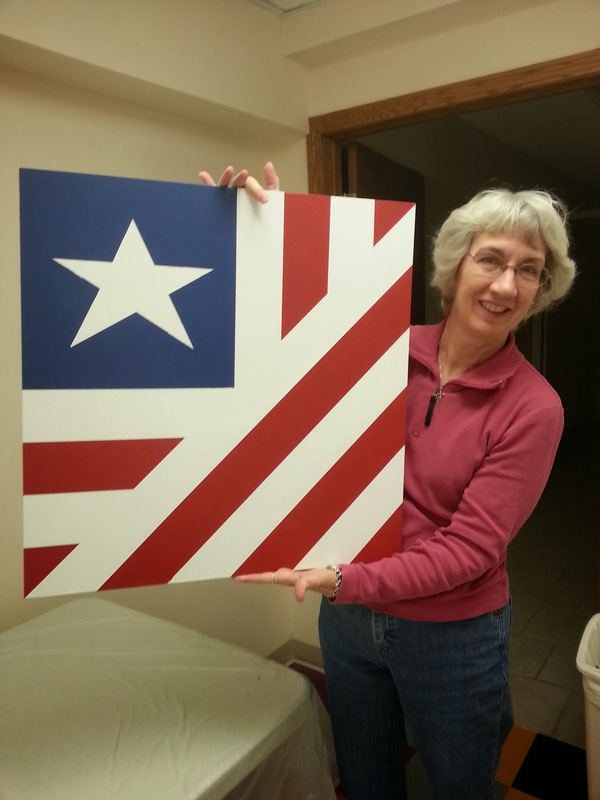 Gladys is proud of the final product! She was worried that she was "too old" to make a block. 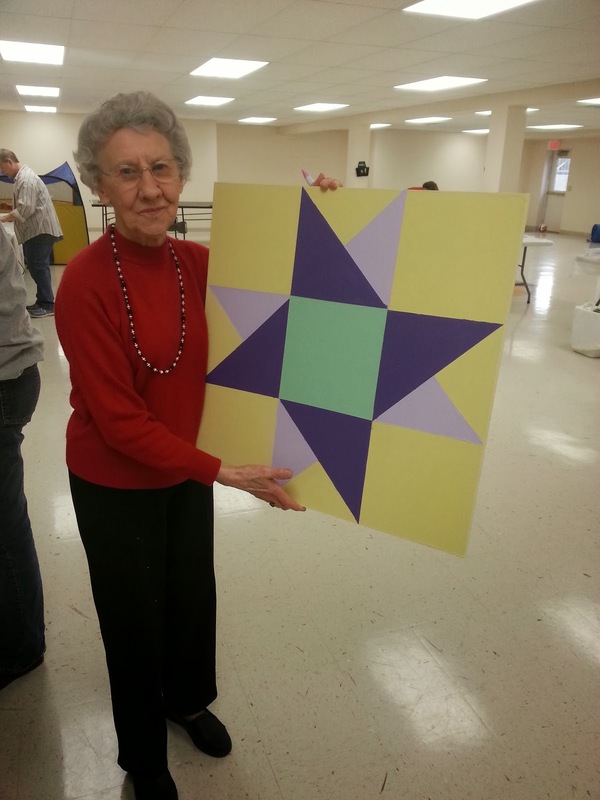 Barn quilt block making has no age limits! It is fun for all! 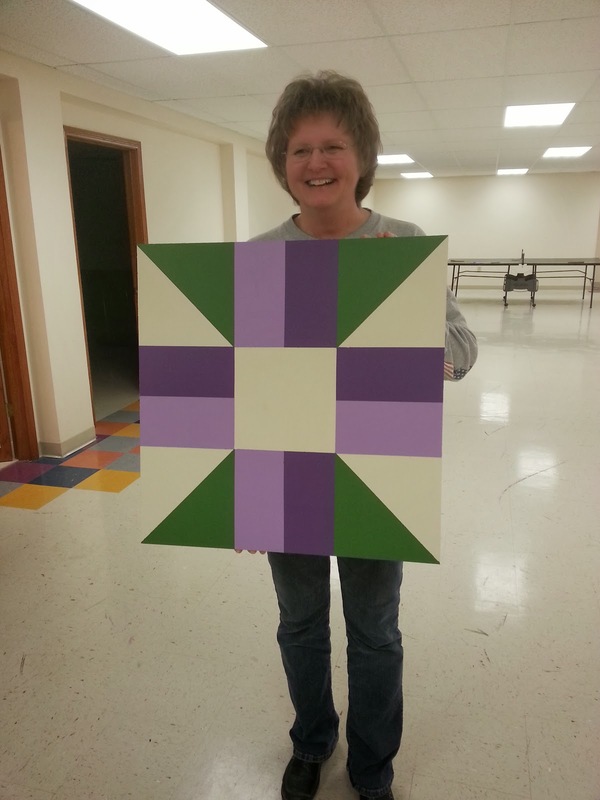 Deb made a beautiful block with one of my favorite colors! 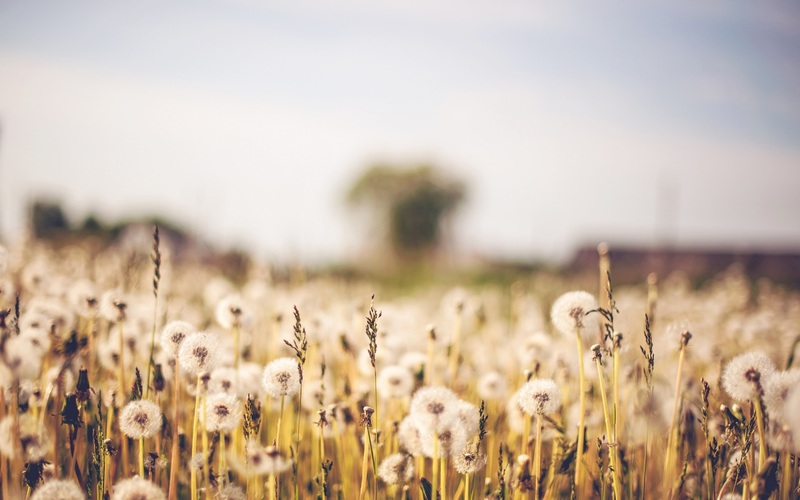 I will be having another class next month at First Lutheran. I haven't worked out all the details. As soon as that is finalized, I will share with everyone! We Have a New Office Space! Red, Brown, and Orange....Floor Update!